LBHS sophomore Katelyn Kolberg is seeking clothing donations through April 25 that will be sold at a pop-up event to raise funds for women in Peru who are fleeing abusive relationships and need to learn skills to become financially independent. 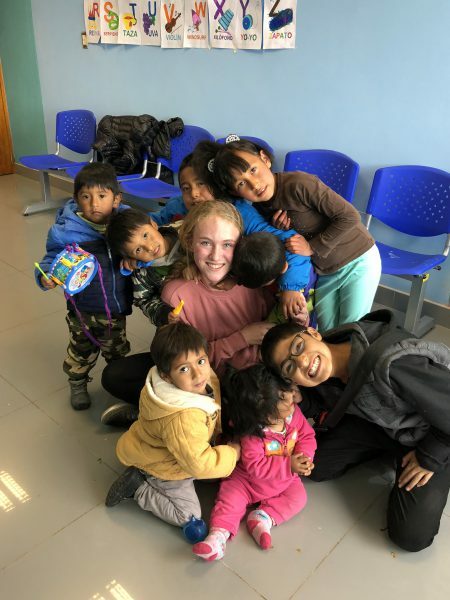 Last summer LBHS sophomore Katelyn Kolberg volunteered at the Kausakusun women’s shelter in Cusco, Peru, for women who are fleeing abusive relationships and need to learn skills to become financially independent. While there, she was able, with the shelter director’s help, to reopen an abandoned sewing room. Katelyn, who speaks Spanish proficiently and has sewing skills, taught the women how to sew bags that could be sold for profit. Now Katelyn is seeking gently used clothing that will be sold at a pop-up event in May to raise money to pay for a sewing teacher at the shelter. Any clothing that is not sold will be donated to Laura’s House, a women’s shelter in Orange County. Drop off donations at Sourced, 950 Glenneyre Street, through April 25. Easter celebrations begin at Laguna Beach United Methodist Church on Palm Sunday, April 14, at 10 a.m. All are invited to attend. 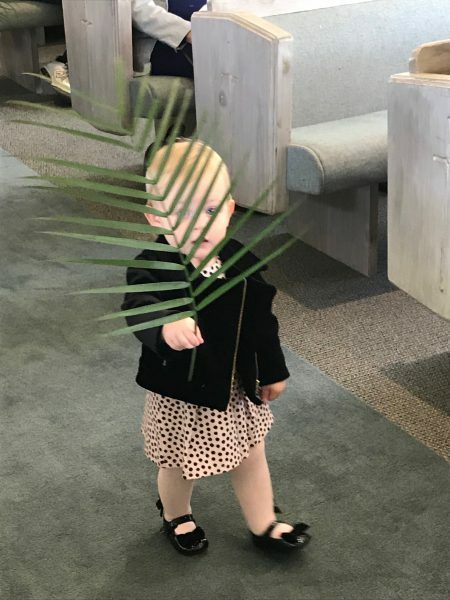 Pastor Lynn Francis’s sermon will be “Finding Hosanna.” Following the service, between 11:30 a.m. and 1 p.m., all are encouraged to stay for this month’s Messy Church event, “Eggstravaganza.” “Eggsperiments” and other “eggy” activities, including an egg hunt, will be offered, as will a simple fellowship meal. A Last Supper meal and worship around the community table will be offered at the Maundy Thursday service, April 18, 6:30 p.m., in the church’s Healton Hall. “We will have acoustic music and a variety of readers as we share in this intimate, special service commemorating Christ’s last week with his disciples,” Pastor Francis said. LBUMC will host the 6 a.m. Easter Sunrise Service at Main Beach for the 24th straight year on April 21. Easter will be greeted at the 10 a.m. worship with music ranging from traditional to modern. Brass will herald the day, joined by guitar music. The Chancel Choir and JuBellation, the handbell choir, will perform. Pastor Francis’ sermon will be “Finding New Life.” A “Hallelujah Chorus” will conclude the service. Laguna Beach United Methodist Church is located at 21632 Wesley Drive. To contact the church, call 949-499-3088 or go to lbumc.org. 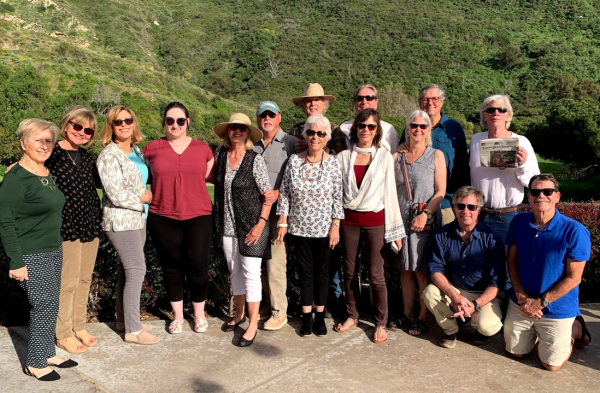 The Laguna Bluebelt Coalition recently celebrated the winners of the eighth annual Bluebelt Photo Contest at The Ranch in Laguna Beach. Laguna local Greg Howe won first place in the amateur category. A friend of Laguna legend Hobie Alter, Howe gave up spearfishing to develop his life-long passion with camera technology and “hunt” for dynamic underwater images. He won a night at the Surf & Sand and dinner at Splash’s in Laguna Beach. Una and Brent Crawford represented their son, Brian Crawford, winner in the professional category; Brian was in Okinawa. His prize was two nights at The Ranch and dinner at Harvest Restaurant. The winning photos will be on display in The Ranch lobby until April 14. A Laguna bipartisan citizen’s group will hold a sign waving event emphasizing the importance of free markets next Monday, April 15, from 3-5 p.m. The city’s annual compost giveaway event will be held on Saturday, April 13, from 8 a.m. to noon, at the city maintenance facilities parking lot (Act V), located at 1900 Laguna Canyon Road. Free compost will be available in appreciation of the recycling efforts by Laguna Beach residents. Supplies are limited and will be available on a first come, first served basis. This is a self-service event. Visitwww.lagunabeachcity.net/recyclingfor more information. Planning commissioners, representatives from the Laguna Beach Chamber of Commerce, and Anthony Viera, associate city planner for the city of Laguna Beach, will host an “Open for Business” workshop from 6:30-8:30 p.m. on Thursday, April 18, at the Laguna Beach Community Center, 380 Third Street. “These meetings are an excellent way for prospective businesses to get an overview of our city’s processes,” said Planning Commissioner Susan Whitin. For more information, contact Viera at 949-497-0398 or[email protected]. The Laguna Beach Parents Club held a clothing drive for WHW on March 30 at Anita Wang, MD Wellness Center in Laguna Beach. WHW is a nonprofit organization that provides job training. Over $3,000 worth of prizes were donated by various local businesses. Twenty women who collected and donated more than 500 items attended the Moms Night Out event. Laguna Beach Parents Club is a nonprofit organization for families with young children who live or work in Laguna Beach. The parents club hosts play groups, nights out for parents, fitness groups, and holiday activities. LBPC also raises money for various local nonprofits through their community work. To learn more about LBPC or to become a member, visit www.lagunabeachparents.org. An all class reunion of LBHS alumni will be held from 11:30 a.m. to 4 p.m. on Saturday, May 4, at Picnic Beach in Heisler Park. Lunch will be served, and donations will be welcomed. For more information about the reunion, which always takes place the first Saturday in May, contact Walker Reed at 949-637-5387. The theme of the 21st annual John Gardiner Poetry contest is “freestyle.” Up to three entries, each with its own application form, will be accepted from poets of all ages through April 30. Submit to[email protected]. Prizes from $25 to $100 will be offered, along with gift certificates. A public reading of winning poems will take place at the Laguna Beach Library, 363 Glenneyre Street. The City Council is accepting applications for the following committees, commissions and boards: (4) positions on the Arts Commission; (5) positions on the Emergency Disaster Preparedness Committee; (6) positions on the Housing and Human Services Committee; (2) positions on the Planning Commission; and (4) positions on the Personnel Board. All terms will be two years beginning July 1, 2019, through June 30, 2021. Interviews and appointments will be conducted on Tuesday, May 7, at 6 p.m., in the City Council Chambers, 505 Forest Avenue. Laguna Beach residents who are interested in serving on one of these committees should obtain an application from the City Clerk’s office or online from the city’s website, www.lagunabeachcity.net, and file in the City Clerk’s office no later than Thursday, April 25, at 5 p.m. Applications will not be accepted after the April 25 deadline. The Laguna Beach Business Club welcomes Gail Allyn Landau, founder and owner of Catmosphere Laguna, as guest speaker at their monthly meeting on Thursday, April 18. Landau graduated from Loyola University of Chicago School of Law in 1980 and completed her mediator training in 2012 at Pepperdine University School of Law. She was one of the founders and a managing partner of Landau, Omahana & Kopka, LLC in Chicago, Illinois. She is also a member of the Federal Trial Bar, the American Bar Association, the National Association of Women Business Owners, the Humane Society, and has been honored by PETA. Landau is a nominee for the 25th Annual Women in Business Awards, sponsored by the Orange County Business Journal. The Catmosphere Laguna Foundation is a nonprofit that operates alongside the Catmosphere Cat Café, which is dedicated to finding homes for homeless, relinquished, and special-needs cats and kittens. Landau will speak about how she transitioned from attorney to cat café/adoption center proprietor, and her experience working with a multitude of generations in the work place, from Baby Boomers to Generation Z.
LBBC meetings begin at 7:30 a.m. with a buffet breakfast and brief networking roundtable. Meetings are hosted at Seven7Seven, 777 Laguna Canyon Road. Non-members are welcome. For more information about the club or to register to attend a meeting, visit lagunabeachbusinessclub.com, email [email protected] or call 949-285-3730. Tickets, as well as underwriting and sponsorship opportunities, are available for a fundraiser to be held on Sunday, May 19, at 3 p.m. at the Laguna Beach Artists Theater to celebrate the launch of the WAVE Action Fund, the 501(c)(4) nonprofit arm of the WAVE organization—Women for American Values and Ethics. Congressman Harley Rouda will be present, and the Jorge Dubin band will entertain. Contributions are not deductible as charitable donations. Local candle-making business Laguna Candles recently announced the expansion of its business through a collaboration with talk show host Ellen DeGeneres’ subscription gift box. DeGeneres recently launched her second subscription gift box, which will include the “Be Kind” candle made by Laguna Candles. “As a local, woman-owned company, we’re very proud of being selected to collaborate with Ellen and her producers. We took the project on because we felt that our company aligns well with the ‘Be Kind’ to others and be more environmentally conscious messages that Ellen is fostering,” said Sharie Hendricks, Laguna Candles founder. “The production of 16,000 candles with a fragrance that smells like ‘kindness’ was quite the challenge,” Hendricks added. The company manufactured 16,000 scented candles plus the development of a custom fragrance. Each candle comes in a black matte vessel, with clear aqueous screen print with the words: “Be Kind” displayed boldly. Hendricks started Laguna Candles with the goal of offering sustainable and healthy products to her local community. 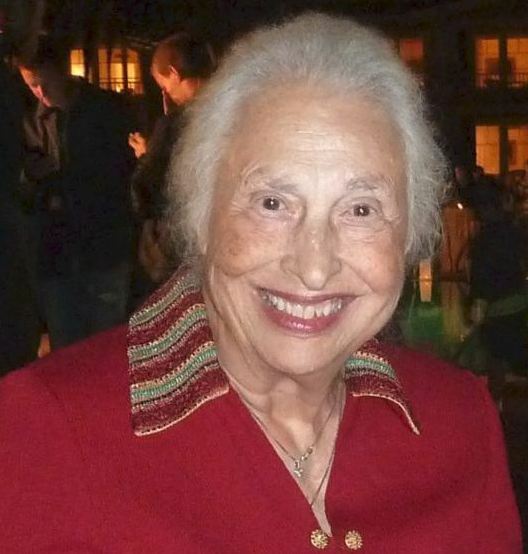 Laguna Beach resident Maria Siani is celebrating her 95th birthday on Monday, April 15. Laguna Beach resident Maria Siani is celebrating her 95th birthday on Monday, April 15. Maria, her husband, Sal, and their daughter, Sandra, came to Laguna Beach for a visit 53 years ago, and she has been a proud resident ever since. Her daughter wishes her many more healthy and happy years to come. Laguna local Mike Forsum was recently appointed to the national board of directors of HomeAid America, a nonprofit provider of housing for the homeless. Forsum is chief operating officer of Landsea Homes a designer and builder of homes and sustainable master-planned communities in New York, Boston, New Jersey, Arizona and California. HomeAid works with the building industry to build and renovate homeless shelters in 17 markets across the country. 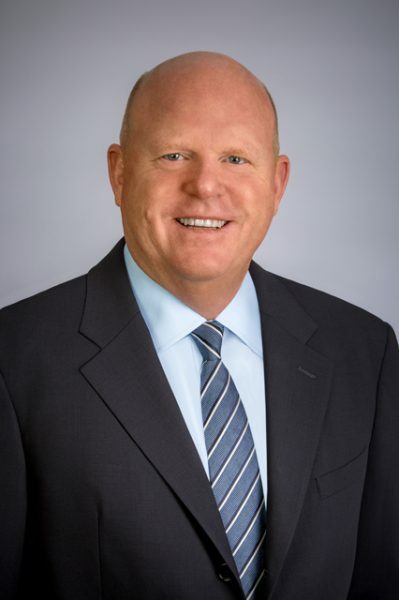 “Mike is a long-time, inspirational homebuilding leader with extensive expertise and experience who embodies the spirit of community, all key tenets at Landsea Homes,” said John Ho, chief executive officer of Landsea Homes. Laguna local Mike Forsum was recently appointed to the national board of directors of HomeAid America, a nonprofit provider of housing for the homeless.